GOD IS REDEEMING MARRIAGES. WHY NOT START WITH YOURS? The mission of the Marriage Center is to partner with Christian couples and the Church to provide Christian marital and premarital counseling in accordance with sound biblical principles and integrate these principles with evidence-based techniques. This model is designed to help husbands and wives establish a solid foundation on which to build a loving and unified marriage. Couples learn about their unique roles and responsibilities, how to apply those roles in the marital relationship, how to live with one another in an understanding way, and how to resolve conflict in a manner that produces lasting change - all to the glory of God! God created marriage and defined it as one man and one woman in a covenant relationship designed to fulfill His purpose and further His kingdom here on earth. For this reason, we are passionate about the integrity of the marital relationship. We believe that it is impossible for husbands and wives to experience true oneness and the intimacy that God designed for them without Him being at the very heart and center of their relationship. 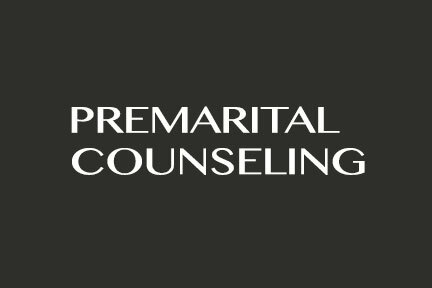 Our approach to counseling is marriage-focused and Christ-centered. We counsel couples to apply sound biblical principles integrated with evidence-based techniques, and we help them eliminate obstacles and overcome challenges they are facing. Our clients replace unhealthy behaviors with Christ-like and God-honoring behaviors that produce lasting change. They end up functioning as a unified team, accomplishing their purposes, individually and as a couple, and experiencing true love, joy, and unity. Workshops are offered throughout the year, and focus on the most problematic issues that couples face. We apply Biblical principles along with evidence-based techniques to help hurting couples heal and grow. Read our client testimonials of restored love and hope, and be inspired. It can be your story, too. PARTNER WITH US. TOGETHER WE’LL WORK TO STRENGTHEN AND REBUILD CHRISTIAN MARRIAGES AND FAMILIES THROUGH THE APPLICATION OF EFFECTIVE THERAPEUTIC STRATEGIES, GOD’S WORD, FAITH AND PRAYER. Church-sponsored couples provides a way for churches and other organizations to financially invest in marriages and families. Churches grant financial support to qualifying couples to offset the cost of counseling, and their sponsors are assured that the therapeutic treatment that these couples receive is Bible-based, safe and research-proven. In a world where Christian ideals are often sidelined and replaced by man-made concepts, the counselors at Marriage Center hold to Scripture-based constructs, created and approved by God. Workshops are an effective and affordable way for couples struggling in their marriages to get the help that they need. Hosting a workshop at your church location brings couples together in a safe environment where they can learn, communicate, and find the support they need to overcome their problems. Pastors and Christian leaders can trust that the Biblical-based strategies and techniques taught in our workshops are God-honoring, proven, and will not only bring healing to the marriage and family, but strengthen each spouse’s personal relationship with Christ. Welcome to Marriage Center. We look forward to hearing from you and beginning your journey towards marital health and wellness. Schedule an appointment with one of our counselors today by calling our office or using our online scheduler. 2019 WORKSHOPS. PLAN TODAY FOR A HEALTHIER MARRIAGE TOMORROW. If you would like to receive Marriage Matters Blog Posts, please check the box below. Yes, I'd like to receive Marriage Matters Blog Posts via my email.